HD 189733b: A Jupiter Sized Alien Planet Where it Rains Molten Glass! Home » Astonishing Discoveries » HD 189733b: A Jupiter Sized Alien Planet Where it Rains Molten Glass! There is so much of the universe that is unknown by humankind, specifically at least 96% (unless we know what dark matter and dark energy is by now!). However, through the efforts of Kepler we are able to understand a little more about alien planets. 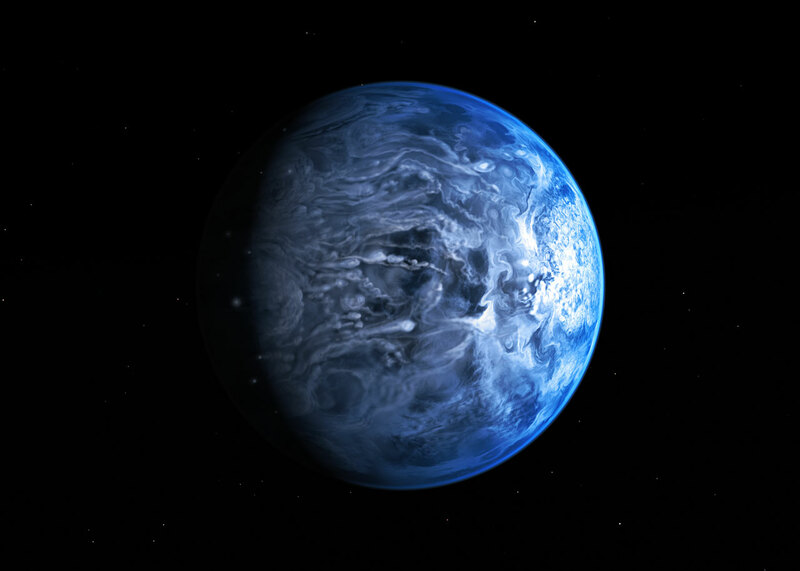 This particular alien planet called HD 189733b rains molten glass. Yes that is right, molten glass. 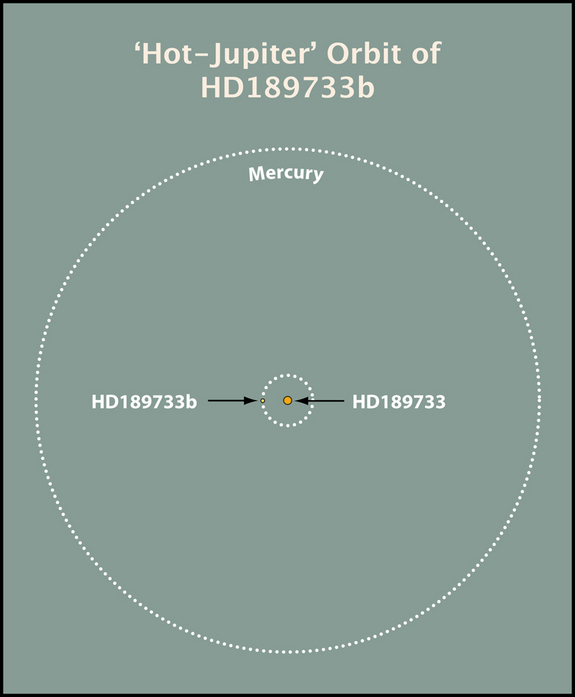 This planet is called HD 189733b and it is located 63 light years away (or 630 trillion KM from Earth) and was first discovered in 2005. This was also the first extrasolar planet to have a thermal map constructed. If you were to compare this exoplanet orbit versus the orbit of Earth, it would be 30 times closer than Earth. This Jupiter sized planet also orbits its host star in 2.2 days!! Credit: S. Redfield/T. Jones/McDonald Obs. Now the reason that is astounding is because it takes Earth 365.25 days to travel around the Sun. The orbital speed of this alien planet is travelling at 152.5 km per second. In comparison, Earth travels at 27.8 km per second. HD 189733b temperature is 973 Kelvin or a scorching 700 degree Celsius! Taking a closer look at the planet the color is actually blue. Why is that? Well it’s because the clouds are laced with silicate particles where small shards of glass would scatter more blue light than red light. What scientists have known about host stars near planets is the radiation produced from the star strips away the nearby planet’s atmosphere. If you want to read more odd things happening in the universe then check out this weird brown dwarf star. Check out HD 189733b, an exoplanet that's Jupiter sized and rains molten glass.